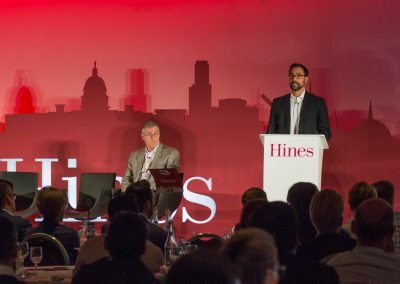 A two day event to bring 150 senior Hines decision-makers together from across the globe for an annual conference. 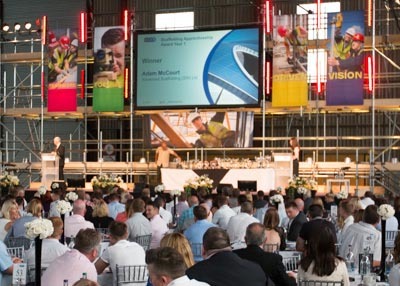 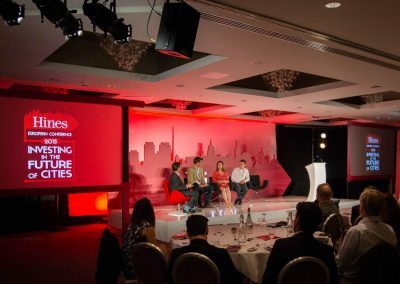 At the 2014 post-event meeting, the conference was judged a huge success with delegates commenting on the benefits of the revised format. 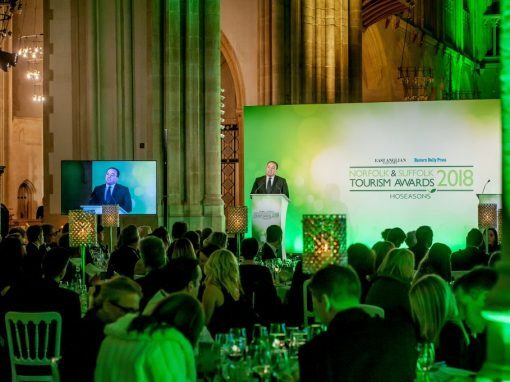 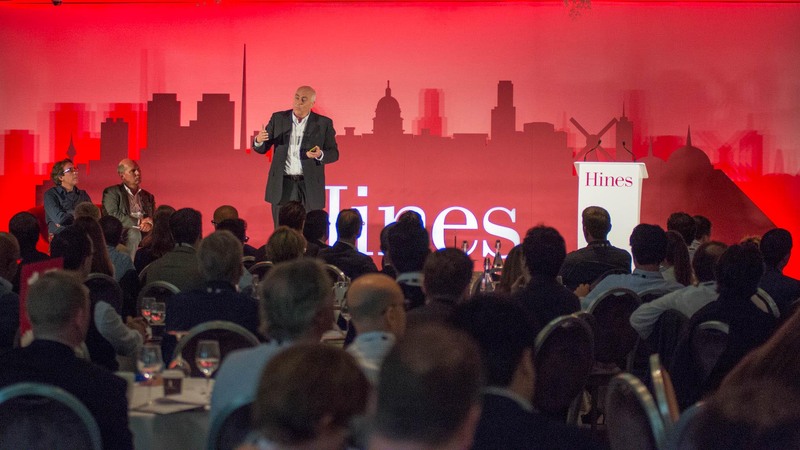 Their head office commented that the 2014 Conference should be the benchmark for all Hines events. 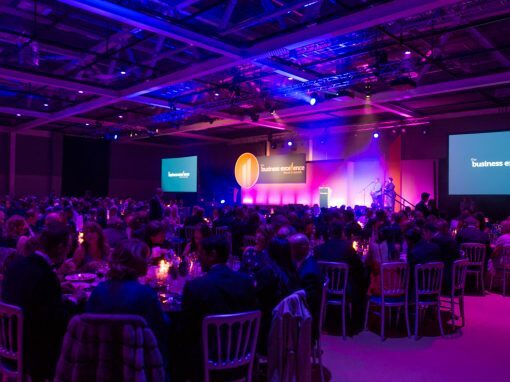 The 2015 event had been due to take place in Italy, but was switched to Dublin and organised by Green Spark. 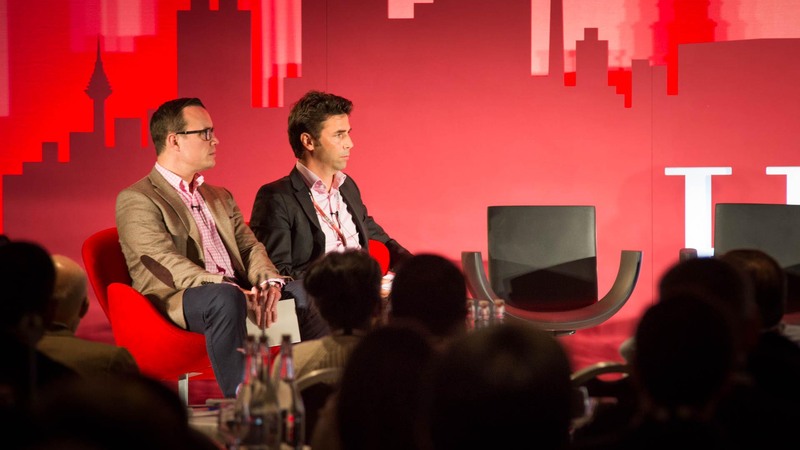 We wanted to engage our team and look at real estate trends across the globe. 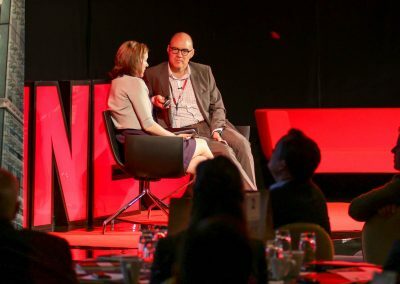 Green Spark helped us shape our thinking, delivered an outstanding event and kept us in dialogue with all our stakeholders after the end. 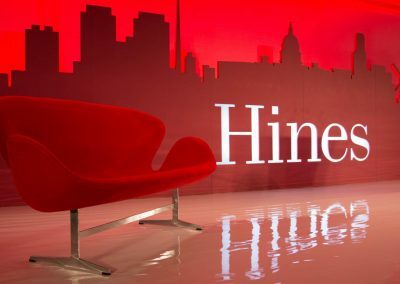 Hines is a privately owned, international real estate firm established 57 years ago, now with a presence in 115 cities around the globe employing over 2,000 staff. 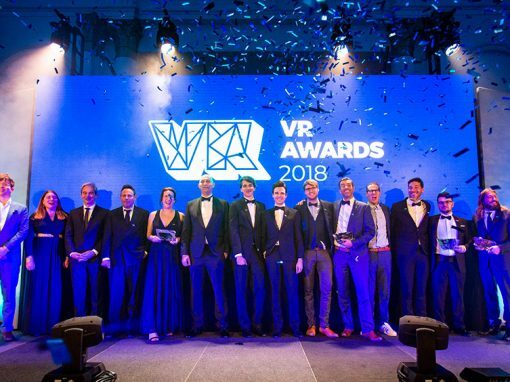 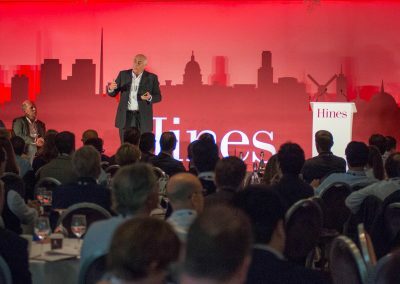 The objectives of the annual conference are to engage the Hines team of 150 senior decision makers, develop relationships across Europe, communicate new ideas, recognize best practice and facilitate positive change within the company. 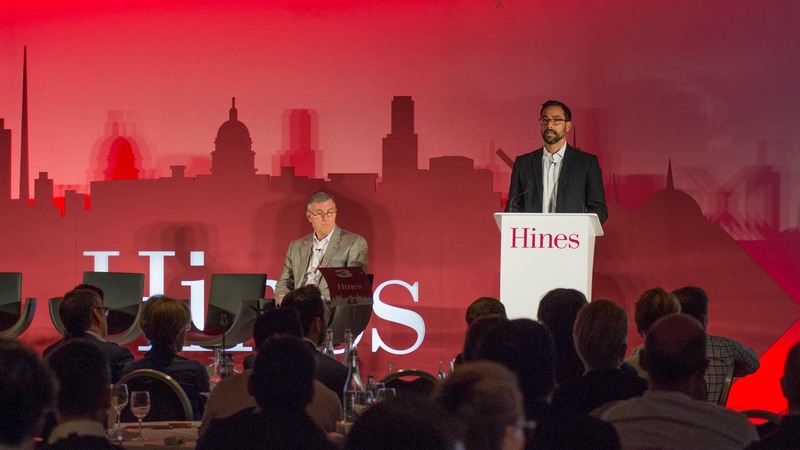 Green Spark first worked with Hines in 2013 which allowed the company to understand better how Hines worked, the brand and how to add value to the annual conference. 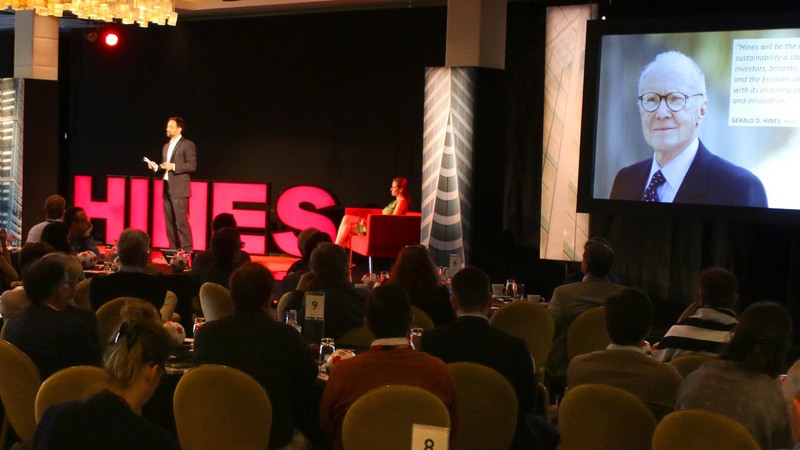 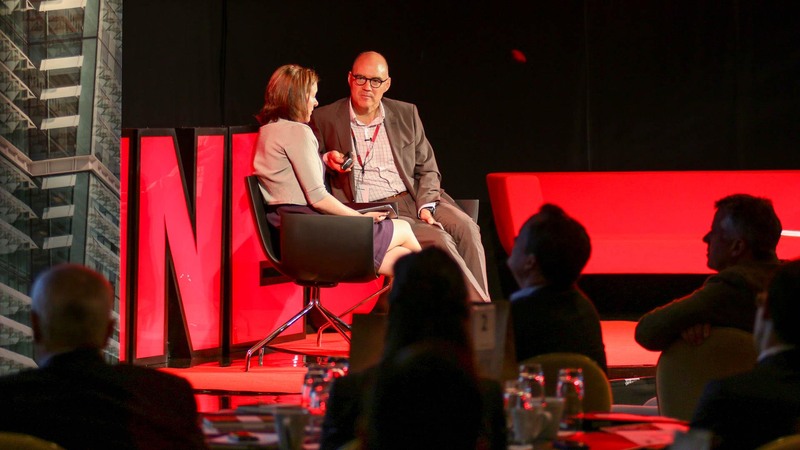 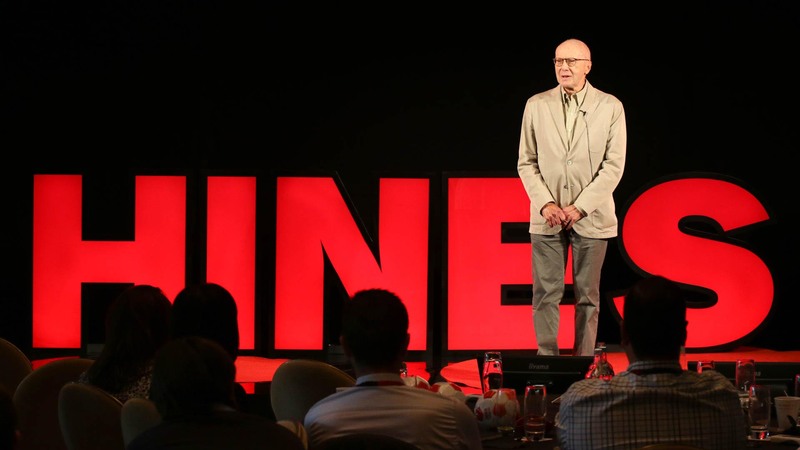 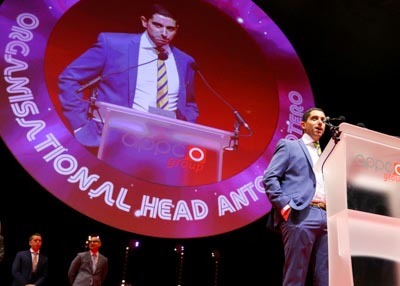 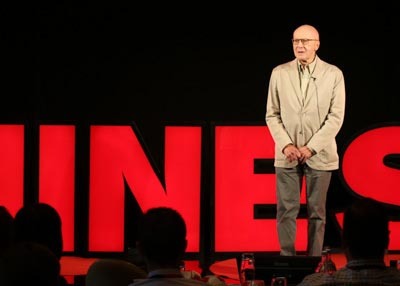 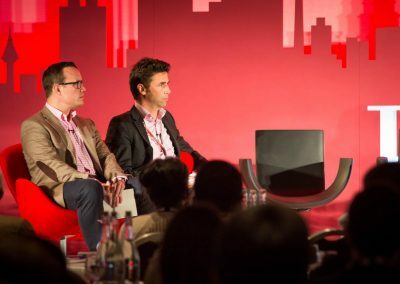 The 2014 conference incorporated a TED presentation style to engage the audience on the day and the creation of multiple points of contact to deliver key messages either side of the event. 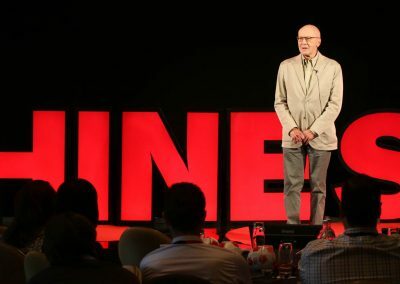 In order to achieve the correct style and tone of individual presentations, Green Spark conducted two days of presentation training for speakers a month prior to the event. 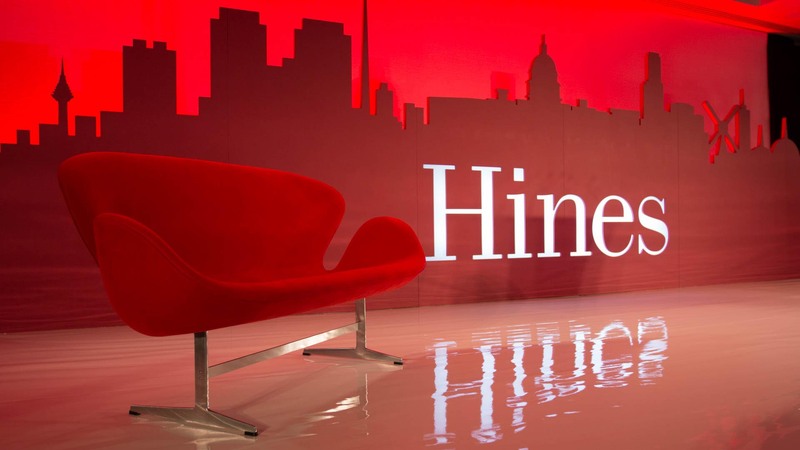 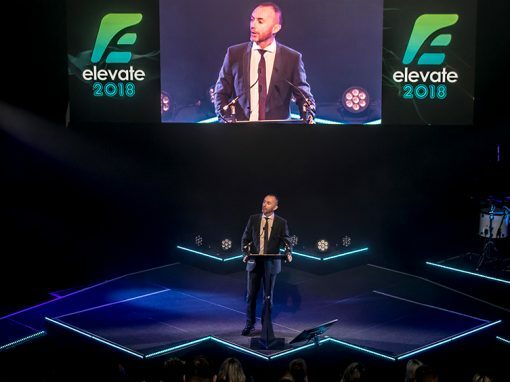 We also created several elements of media to enhance the show; a teaser clip which was distributed to delegates two weeks prior to the event, a show countdown which delivered a timeline of the Hines’ history and a transition piece used between speakers. 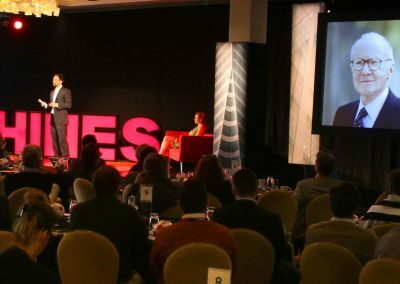 The stage did not utilize a lectern, removing barriers between the speaker and audience, and incorporated soft seating for panel discussions. 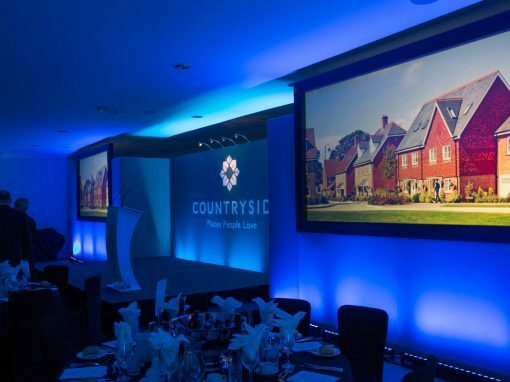 The stage set and all audio visual equipment was designed, installed and operated by Green Spark . 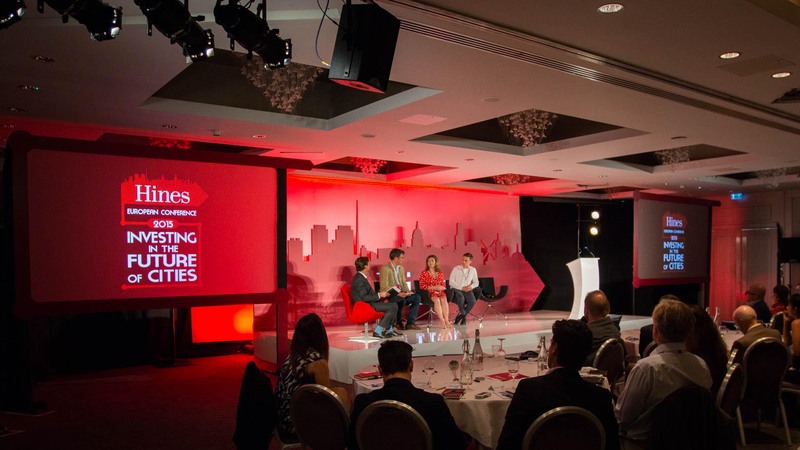 The 2014 conference was held at the Grove Hotel in London and the 2015 conference was located in Dublin.